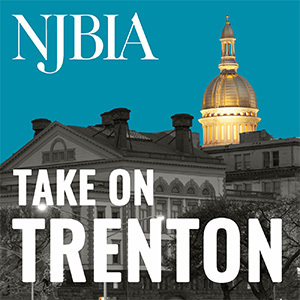 NJBIA > Testimony > NJBIA Opposes Senate Bill 2891 – “New Jersey Secure Choice Savings Program Act”; establishes retirement savings program for certain workers; establishes standard contribution level of 3 percent. NJBIA Opposes Senate Bill 2891 – “New Jersey Secure Choice Savings Program Act”; establishes retirement savings program for certain workers; establishes standard contribution level of 3 percent. On behalf of our member companies that provide more than 1 million jobs in the state and make the New Jersey Business & Industry Association the largest statewide business association in the country, I am writing to share the following concerns on S-2891. The bill establishes a State-run retirement savings program for private sector businesses in New Jersey that currently do not offer a retirement plan. It mandates employers, with 25 or more employees, enroll their employees in the program unless employees opt-out. There is no question that a retirement savings deficit exists in New Jersey and individuals need to save more for retirement. S-2891 in its current form, however, is not the most efficient or effective policy to make that occur. The legislation would burden businesses with an additional mandate and the State with significant costs including the start-up costs for the program. Illinois, for example, has considered similar legislation and developed a fiscal note that included an estimate of $15-$20 million in start-up costs over the first two years. Yet a fiscal note has not been prepared for S-2891 or its Assembly counterpart. The proposal would also open the State and employers to liability under the Employee Retirement Income Security Act (ERISA). Pension plans covered by ERISA are subject to various statutory and regulatory requirements to protect the interests of the plan participants. These include reporting and disclosure rules and stringent conduct standards derived from trust law for plan fiduciaries. In addition, ERISA expressly prohibits certain transactions involving plans unless a statutory or administrative exemption applies. In order to ensure nationwide uniformity of treatment, ERISA places the regulation of private-sector employee benefit plans under federal jurisdiction and shall supersede any and all State laws insofar as they relate to any employee benefit plan covered by the statute. Savings Program does not meet the 1975 safe harbor regulation’s completely voluntary requirement and would open the State and employers to liability under ERISA. does not cover a payroll deduction IRA arrangement so long as four conditions are met: 1.) the employer makes no contributions, 2.) employee participation is completely voluntary, 3.) the employer does not endorse the program and acts as a mere facilitator of a relationship between IRA vendor and employees 4.) and the employer receives no consideration except for its own expenses. The second condition that employee participation must be completely voluntary is where we feel the current proposal falls short. Courts have held that opt-out arrangements are not consistent with a requirement for a completely voluntary arrangement. This condition is important because where the employer is acting on his or her own volition to provide the benefit program, the employer’s actions requiring an automatic enrollment arrangement would constitute its establishment of a plan within the meaning of ERISA’s text and trigger ERISA’s protections for the employees whose money is deposited into an IRA. Because of the issues involving ERISA for Secure Choice under the 1975 safe harbor regulations, the U.S. Department of Labor adopted a Partial ERISA Safe Harbor for Secure Choice Plans in 2016. However, this was permanently repealed by Congress in 2017. There is currently no protection for employers or the State from liability under ERISA. For these reasons we respectfully oppose S-2891 but look forward to working with the sponsors on amendments to address our concerns.